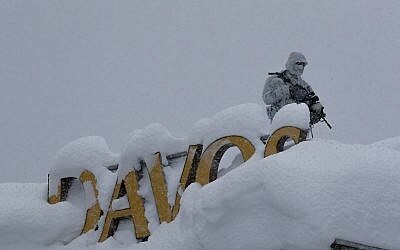 DAVOS, Switzerland — Prime Minister Benjamin Netanyahu will meet with US President Donald Trump on the sidelines of the the World Economic Forum in Davos later this week, both administrations said Tuesday. In the meeting, which will take place on Thursday, Trump plans “to reiterate Americas strong commitment to Israel and efforts to reduced Iran’s influence and abilities, and ways to achieve lasting peace,” White House National Security Adviser H.R. McMaster said in a press briefing. Minutes later, the Prime Minister’s Office confirmed the meeting. The last time the two met was in September on the sidelines of the UN General Assembly. There, Trump told Netanyahu that Washington will walk away from a nuclear deal with Iran if it deems that the UN agency overseeing the agreement is not tough enough in monitoring it. 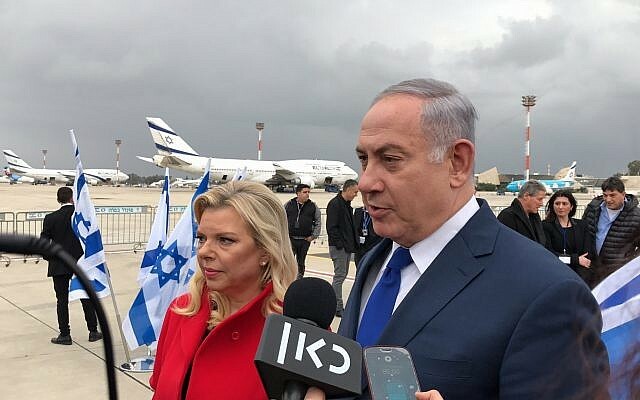 While leaving Israel for the conference earlier Tuesday, Netanyahu confirmed that he had bilateral meetings planned in Davos with 10 heads of state. The sit-down appears to have been planned well in advance given that Israel’s Ambassador to the US Ron Dermer accompanied Netanyahu on the trip to the Swiss resort town. McMaster said Trump would also meet with British Prime Minister Theresa May and Rwandan leader Paul Kagame. 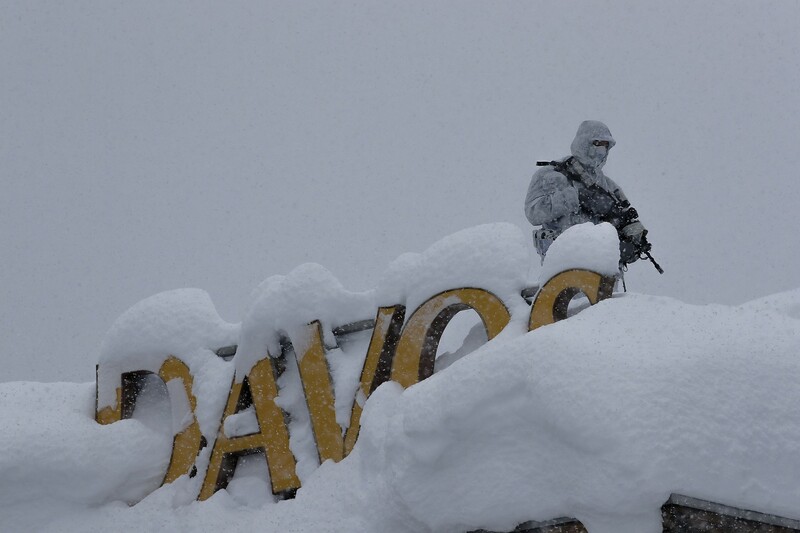 He is the first US president to attend the super-high powered World Economic Forum meeting in the Alps since Bill Clinton in 2000. The prime minister’s delegation will include his wife Sara, National Security Adviser Meir Ben Shabbat and his chief-of-staff Yoav Horowitz. Also slated to attend the conference from Israel are opposition chairman Isaac Herzog, Bank Leumi CEO Rakefet Russak-Aminoach, Teva Pharmaceuticals Executive Vice President Iris Beck-Codner and a small delegation of professors from Ben Gurion University in Beersheba. In addition to Trump, the prime minister will also be meeting with German Chancellor Angela Merkel, French President Emmanuel Macron, Ukrainian President Petro Poroshenko, Azerbaijani President Ilham Aliyev, Belgian Prime Minister Charles Michel, Swiss President Alan Brest, Canadian Prime Minister Justin Trudeau and Dutch Prime Minister Mark Rota, a statement from the Prime Minister’s Office said earlier. Speaking ahead of his departure, Netanyahu said he would tell world leaders that time is running out to alter the Iran nuclear deal, which Trump has vowed he will rip up if not changed. Netanyahu said he would relay this message in meetings with French President Emmanuel Macron and German Chancellor Angela Merkel. Macron has been vocal in warning against abandoning the agreement and Merkel’s government has also continued to back it. Alongside France and Germany, the United Kingdom, United States, China and Russia are also signatories to the 2015 agreement meant to limit Iran’s nuclear program. Earlier this month, Trump waived sanctions on Iran as part of the nuclear deal, but said it would be the last time he does so, unless the pact’s “significant flaws” are addressed. The White House is seeking to enlist European support to change the accord, including the removal of the so-called “sunset clause,” under which restrictions on Iran’s nuclear program will expire a decade after the deal was ratified. 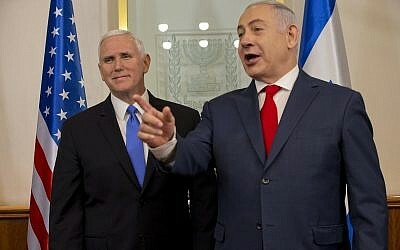 Hosting US Vice President Pence at his official residence in Jerusalem on Monday, Netanyahu said Israel agrees with the the US administration that the nuclear deal with Iran is “disastrous,” arguing that it paves Tehran’s path to a nuclear arsenal. “Our position is clear: fully fix it, or fully nix it,” he said. Iran has said its ballistic missile development is not in violation of the resolution, as it claims to have no ambitions to acquire a nuclear weapon. 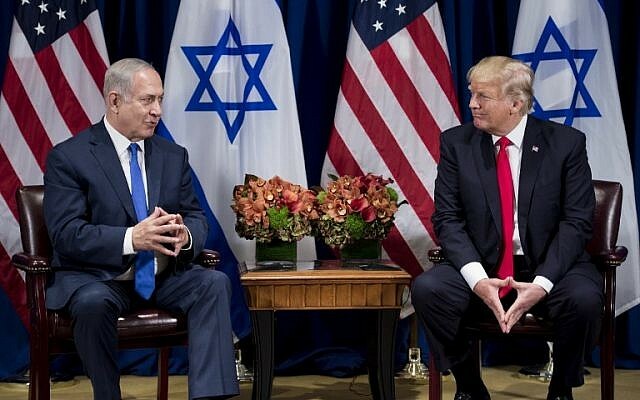 The latest meeting between Trump and Netanyahu comes at a sensitive time for US involvement in the moribund Israel-Palestinian peace process with Palestinian leaders having said they see no further role for America following the president’s December recognition of Jerusalem as Israel’s capital.